Suecomma Bonnie Blue Suede & Swarovski Crystal Peep-toe heels. Getting married? Got your something blue? 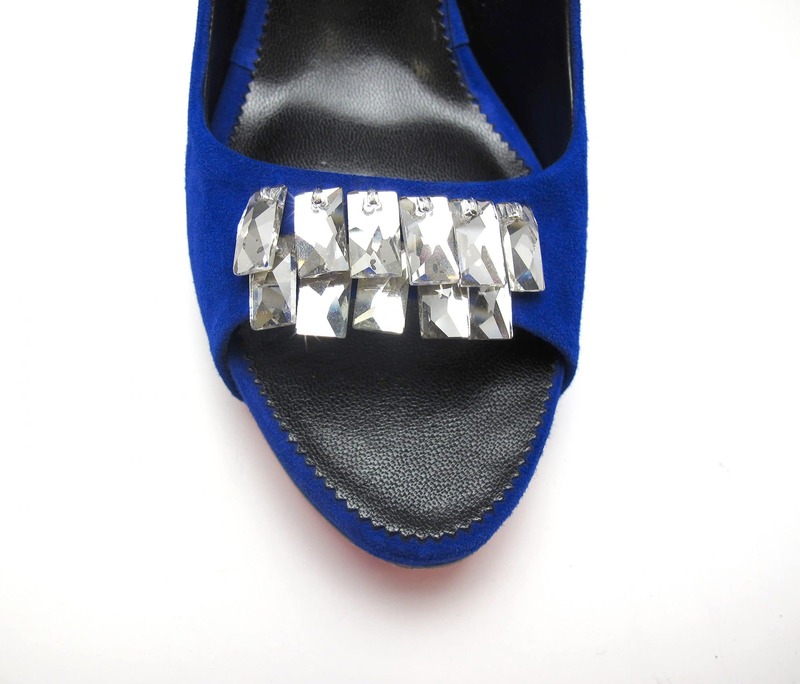 Why not some blue suede crystal heels! Make like Elvis and dance the night away after putting on your ‘blue suede shoes’. We love the royal blue colour of these high heels. Along with the swarovski crystal embellished brooch places stunningly at the toe of each shoe, these shoes ooze old-school Hollywood glamour. With a signature red sole and open-toe finish, these shoes are truly brought to life. The only work we can use that describes them to a T is stunning! They also have a small platform for extra comfort, how could they possibly get any better?